Goodnight Boutique @ Ball Room Boutique! 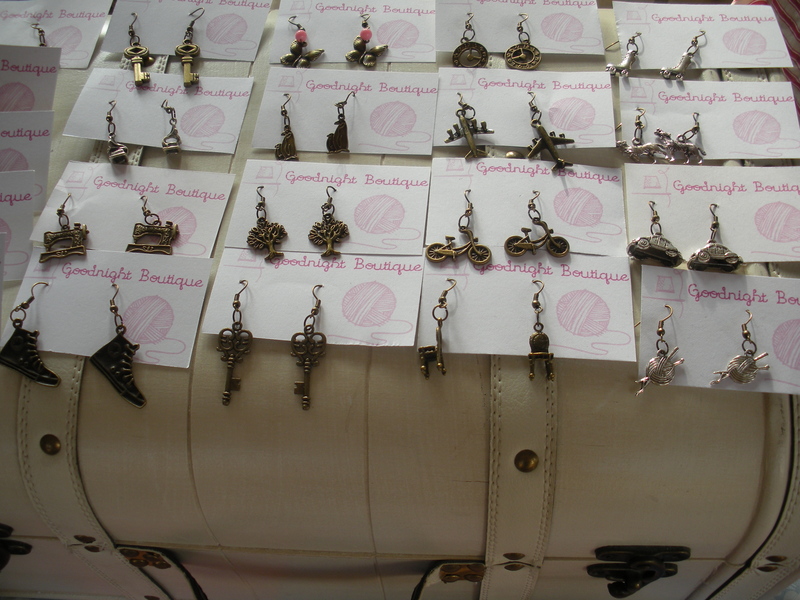 This Sunday, Goodnight Boutique was selling its wares at Ball Room Boutique, a vintage and handmade fair in Stoke-On Trent! 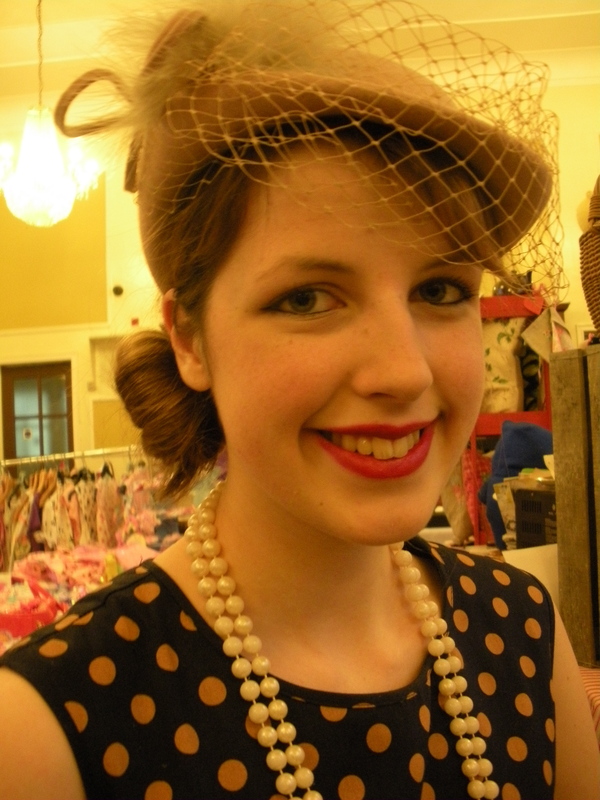 For the occasion I wore I navy blue & tan polka dot, 1950’s style dress with a gorgeous (It’s probably one of my favourites of the hats I own!) Tan hat with feathers and netting! I’ve finally got my Christmas Collection together (there’s a whole blog of it’s own on this, coming soon!) 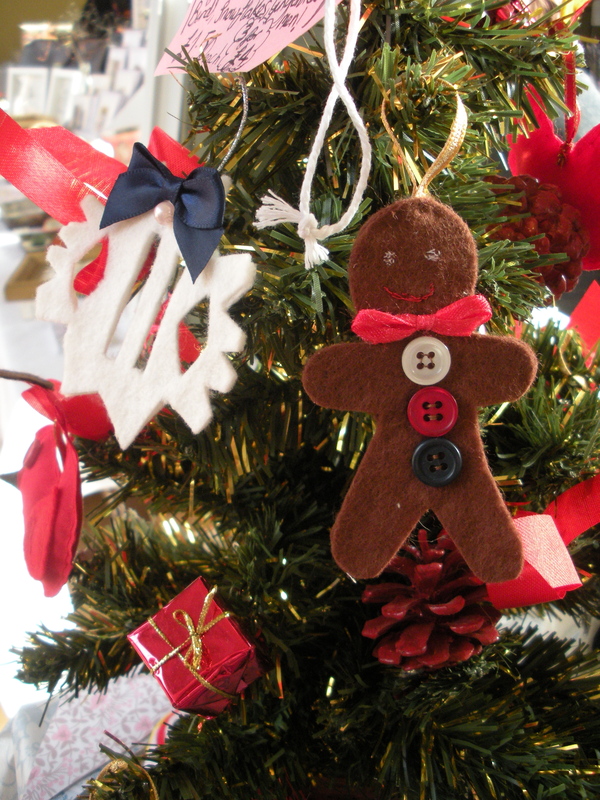 so I displayed some of the decorations on my Mini-Christmas Tree for the first time. 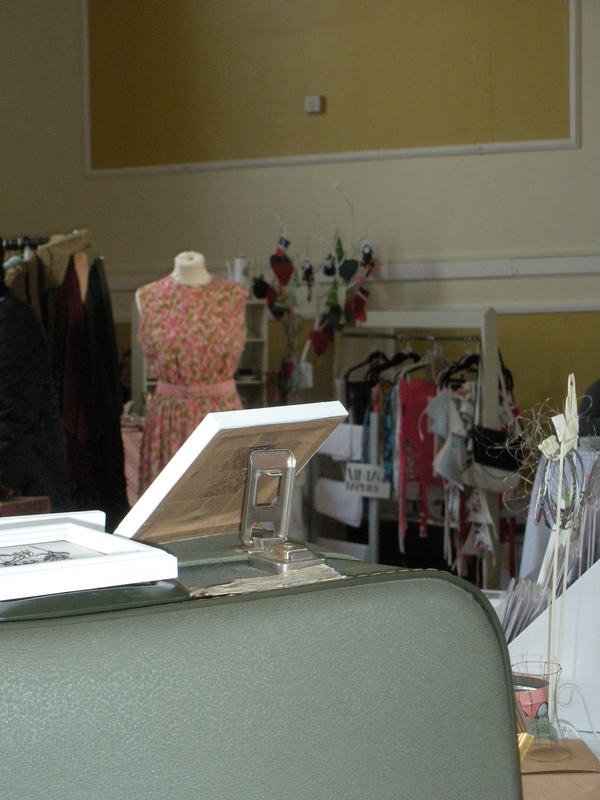 There was also a wonderful variety of stalls, especially some really, really lovely vintage clothes stands. I even treated myself to a new hat! I also bought myself a selection of old buttons, so expect a lot more Button Jewellery to be coming your way soon – I’m even thinking of turning some of the larger ones into brooches. 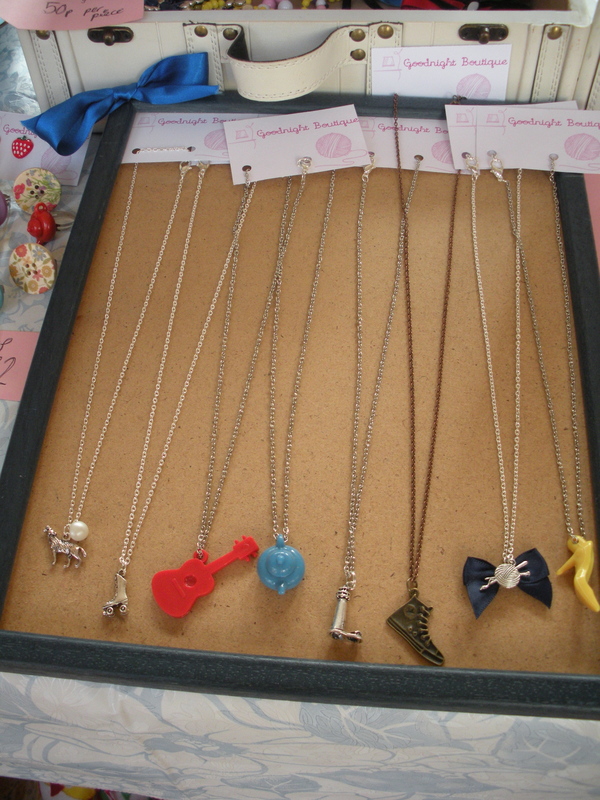 Go to http://www.1stuniquegifts.co.uk/blog/category/handmade-monday-2/ to catch up with a bunch of other crafty people! ← Movember – Cakes & Crafts! Lovely stuff, and you look stunning in your vintage get-up!! 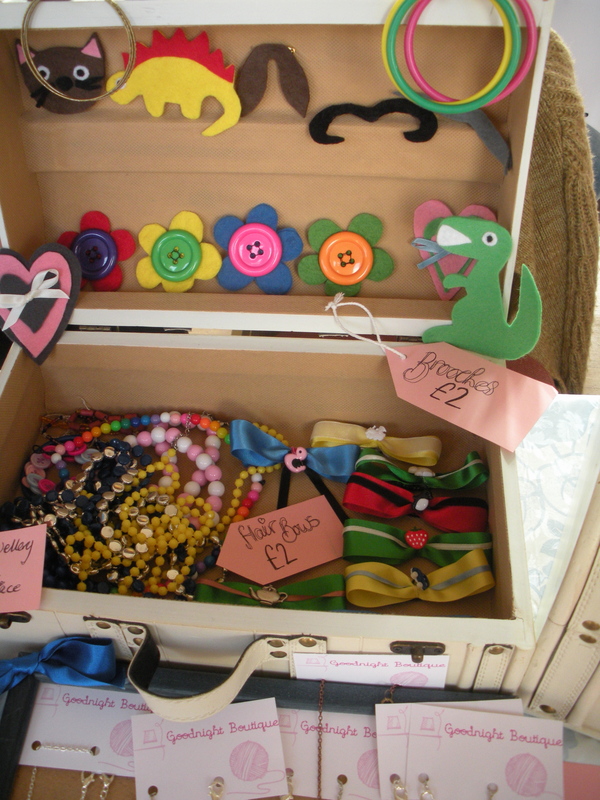 I love the idea of ‘dressing for the occasion’, you look great and your stall looks lovely, I love the little suitcase. Your hat really suits you, and the stall looks so colourful, hope it went well. It all looks so pretty and eye catching. Hope it all went well. I would have been like a kid in a candy store! It went quite well – I’ve had better days in terms of profit, but I did make a profit, which is always a good thing! You look amazing and all your stall pics are fab too. 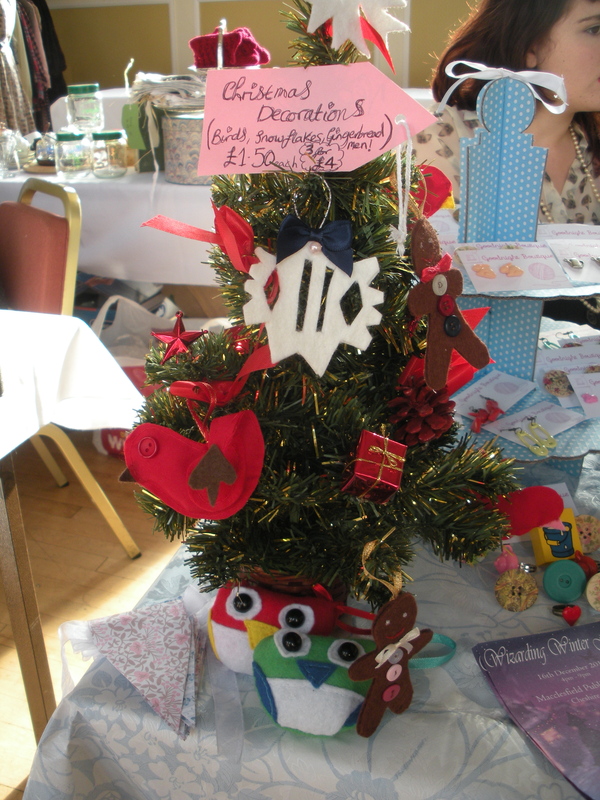 Love the mini Christmas tree as a stall prop. Thank you – it worked reasonably well until an enthusiastic child pulled it completely off the table!